Millennials, those born between the mid-1980s and early 2000s, have been maligned in the media as entitled, narcissistic, phone-addicted, and lazy. 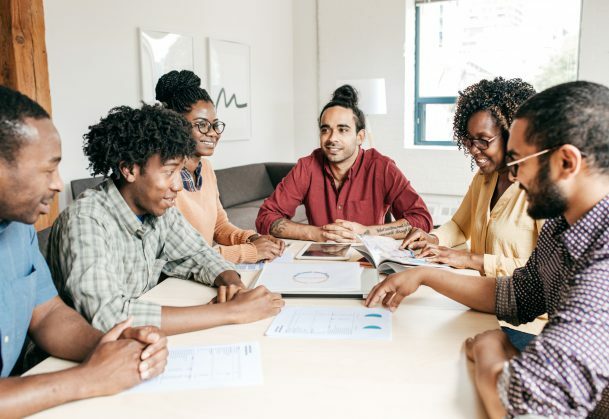 But new research shows that these negative stereotypes are inaccurate – millennials, who entered the workforce during tough economic times, are less narcissistic later in life than those who came of age during more prosperous times. Researchers have observed that narcissists tend to be bad for business; they focus on their own goals at the expense of the goals of other people and tend to alienate the people around them. At the CEO level, studies have shown that narcissists also have the habit of giving themselves substantially higher salaries than their senior-level colleagues. But previous research has also shown that narcissism can be tempered by adversity. In times of economic upheaval, young adults (18 – 25 years old) just entering the workforce tend to endure the worst career setbacks. In April 2012, The New York Times reported that half of all new college graduates in the US were either unemployed or underemployed. In some European countries, up to 56% of young adults faced unemployment. The findings also kicked up some debate. Jason Fletcher, an associate professor of public affairs at the University of Wisconsin–Madison, called for more robust evidence. A new study, conducted by an international team of researchers, not only replicated Bianchi’s findings but also found an interesting twist on the pattern: The average unemployment rate during emerging adulthood was linked with lower narcissism later in life, but only for men. Led by University of Muenster psychological scientist Marius Leckelt, the team collected personality data on narcissism from five different pools of participants. The data came from various sources, including an internet survey of narcissism, original data from Bianchi’s study, and an ongoing longitudinal survey of German households. Specifically, the researchers anticipated that men’s egos would take a harder hit than women’s during an economic downturn: “As men’s identity is on average more closely linked to achievement- and work-related issues, unemployment might have stronger effects on the development of narcissism in men compared to women,” Leckelt and colleagues surmised. As expected, their results consistently showed that unemployment rates in young adulthood had a different effect on narcissism in men compared to women. Of course, there are several limitations to these studies. For one thing, not all young people will experience the same challenges of a recession. Because these were correlational studies, it’s possible that other confounding factors accounted for the relationship between narcissism and economic conditions. Based on these results, the working world may soon benefit from a generation of humbler, less entitled employees and CEOs.